UMH Wins National Mature Media Awards for 2015! United Methodist Homes (UMH) was a winner in the 24th annual National Mature Media Awards Program. The program, presented by the Mature Market Resource Center, a national clearinghouse for the senior market, recognizes the nation’s best marketing, communications, educational materials, and programs designed and produced for older adults. UMH received a Silver Award for their e-book, “10 Things Family Members Want to Know About Assisted Living,” in the category of web-based resources and tools for senior living. The book provides helpful answers to ten common, hard-to-ask questions family members have when exploring assisted or independent living options for their aging loved ones. A few of the questions discussed in the book include: “How do I get my loved one to agree to move?” and “How much freedom does a resident have in a senior living community?” to “If money runs out, what should we do?” The book is intended to serve as a guide to navigating a few of the core issues encountered when making a move to a senior living community. UMH was also awarded Merit Awards for their online digital resource, “Making Sense of the Veterans Aid and Attendance Pension,” an infographic describing benefits available for qualified veterans, and their website, www.umh.org. The entries were judged by a distinguished panel of mature market experts from across the United States for overall excellence of design, content, creativity and relevance to the senior market. 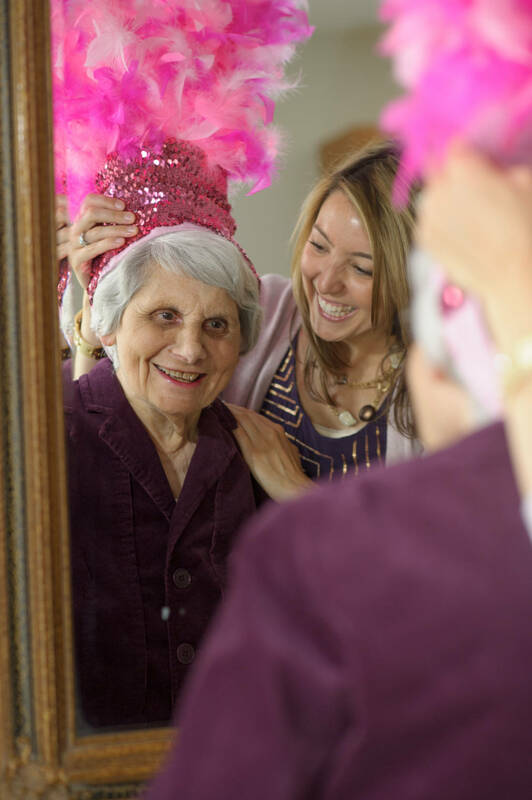 United Methodist Homes provides assisted and independent living housing and healthcare options in several locations in Connecticut and one in Tennessee. Among them are Wesley Village (Shelton, CT), Middlewoods of Farmington (Farmington, CT), Middlewoods of Newington (Newington, CT), and Foxbridge (Memphis, Tennessee). To learn more about their mission and longstanding history of care and service to seniors, visit their website at www.umh.org. Be sure to check out our other award-winning resources! Two of our e-books, "The ABCs of Assisted Living" and "The Journey of Aging" have also been recognized by the Mature Market Resource Center. To read more about our National Mature Media Awards for 2013 and 2014, follow the links! My journey into the world of senior living began when I started working for United Methodist Homes in 2010. Starting as an Activities Director at one of our-winning assisted and independent living communities and then transitioning to Marketing and Promotions Manager for UMH, I now work as the Manager of Mission Development, fostering the Mission and Values of our organization. I love sharing stories about the many ways we build meaningful relationships and enrich the lives of those we serve, and am proud to be part of building UMH’s 140-year legacy of caring. Wondering what makes our communities such special places to live and work? Connect with me and find out!